Two widely used techniques- liquid homogenization and high pressure homogenization- have similar outcomes, yet distinct processes. So when you are looking to create a homogenous mixture, reduce particle size, or lyse cells, how will you know which is preferable? 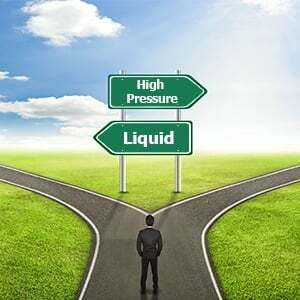 Here we delve into critical similarities and differences between the liquid mixer and high pressure homogenizer. High pressure homogenization, similar to liquid homogenization, forces a sample through a narrow space; yet instead of the manual requirement of liquid homogenizers, high pressure homogenizers run automatically. This process uses multiple mechanical forces (such as turbulence, cavitation, and shear) along with intensive pressure to achieve micronization and membrane lysis. Because of its intensive pressure, high pressure homogenization can tackle cells with tough exterior walls (e.g. bacteria, yeast, fungus). Additionally, high pressure homogenizers are oftentimes made to be scaled from laboratory experimentation up to manufacturing. The product you select for your laboratory will ultimately depend on its downstream applications and the cell types being used. Either way, you will be well-served to select a homogenizer that is flexible to meet the various needs of a laboratory. There are plenty of companies on the market to select equipment from; however, the product can be of higher quality and more even consistency when run through top-shelf equipment, most frequently in the form of a homogenizer. BEE International Technologies is trusted by researchers around the world for both their laboratory homogenizers and their associated customer support. Particle size reduction is just one of a variety of applications for BEE homogenizers; nano/micro emulsions, lipids, suspensions, cell lysis and dispersions are also easily achievable. Additionally, the homogenizer processes can be controlled to suit your product, which will allow you to customize to your cell type. And finally, the equipment is easy to use, produces higher yield in less time, and achieves results that are reproducible and scalable. Homogenization is an umbrella term for specific techniques that can break down and mix samples. Each technique functions optimally with distinct cell cell types and/or sample sizes. For example, liquid-based homogenization is frequently used for cell disruption of cultured cells and small sample volumes. Three types of homogenizers are well-known for their ability to process liquid homogenates; these are the Dounce homogenizer, Potter-Elvehjem homogenizer, and French press; in addition, high-pressure homogenizers can also process liquid samples. Here we present the high-pressure homogenizers manufactured by BEE International, and how they may be more effective than the traditional choices. Both the Dounce and Potter-Elvehjem homogenizer use just one force, impact, to lyse cells. Somewhat better, the French press uses impact along with shear in its process. In contrast, high pressure homogenizers use a combination of multiple forces- shear, cavitation, and impact- to effectively lyse cells. This translates to better yield in fewer passes, which also confers a lower time requirement and less financial burden. As indicated above, traditional liquid-homogenization machines are suitable for small volumes; for example, the French press can process volumes of 40-250 mL. Yet there would be few options available if that sample needed to be scaled to accommodate larger sample volumes. 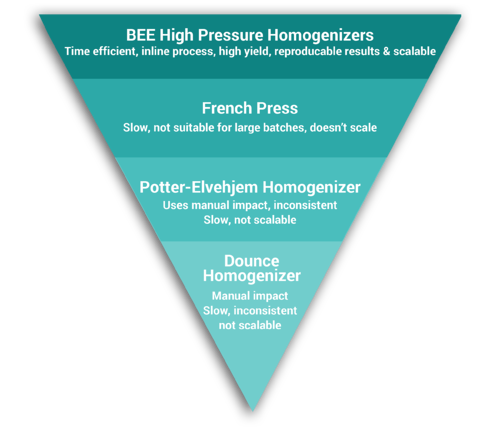 In contrast, BEE’s high-pressure homogenizers are known for their scaling ability, first to clinical trials and then to production. This feature is incredibly appealing to companies involved in R&D, particularly within the pharmaceutical industry. One of the central benefits of BEE’s high-pressure homogenizer is its flexibility, which allows scientists across industries to optimize processes like cell disruption and particle size reduction.For example, the force of cavitation is imparted once a product exits the nozzle, and contributes to the breaking of cell walls. More or less cavitation can be employed for gentler or harsher cell disruption by simply turning a dial to vary operating pressure. Similarly, the force of impact further breaks cells apart, but is only needed for samples that contain strong cell walls. When running a sample with weak walls, or lacking cell walls, a different setup can be programmed to avoid the impact step altogether. These options are not available for users of traditional liquid homogenization machines. On determining which homogenizer will be right for your lab, begin your search with BEE International Technology. They are globally recognized among laboratory managers and researchers for their high quality products and excellent customer support. 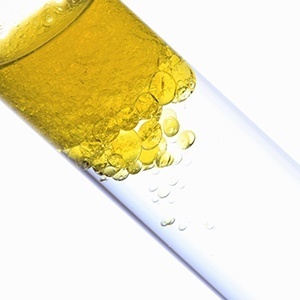 Cell lysis and particle size reduction are two of a variety of applications for BEEI homogenizers; nano/micro emulsions, lipids, suspensions, and dispersions are also easily achievable. Additionally, the homogenizer processes can be controlled to suit your product, which will allow you to customize to your cell type. And finally, the equipment is easy to use, produces higher yield in less time, and achieves results that are reproducible and scalable. Fossil fuels fill a critical need in our worldwide economy, yet their combustion produces both nitrous oxide (NO) and particulate matter (PM) emissions. However, emerging technology around alternative fuels has yielded the emulsion fuel, which has the ability to reduce greenhouse gases and is a more efficient fuel source. This novel technology will allow humans to continue enjoying many of our modern-day comforts while better preserving the environment we exist within. Interestingly, because emulsion fuel is comprised of water droplets dispersed in an oil phase, the mixture needs to be produced through powerful mixing. (1) Here we analyze advantages of using high pressure homogenization as the emulsion fuel production method. An emulsion is classically defined as a mixture of two immiscible liquids. Emulsion fuels, for example, contain both water and oil, and these normally incompatible fluids are expected to mix and remain mixed. 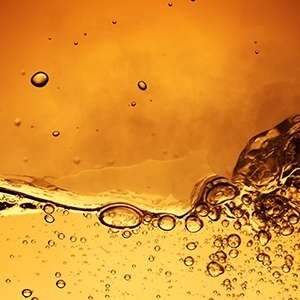 Microemulsion-based fuels, although found on the market, have been largely unsuccessful because they require such high levels of surfactant that the fuel is essentially ineffective. Nanoemulsion-based fuels, however, require less surfactant so hold more promise for potential use. Because stable nanoemulsion production requires high shear, high pressure homogenization is strongly recommended. You may be wondering how emulsion fuel production costs can be reduced when you need to invest in a high pressure homogenizer. In the long run, using a high pressure homogenizer allows for significant savings on surfactant that would need to be used in the absence of a high pressure homogenizer. And of course, the reduction in harmful emissions is critical to the success of this alternative fuel. NO emissions can be reduced by up to 35% and PM emissions can be reduced by up to 60%, all because emulsion fuels burn completely than diesel fuel. 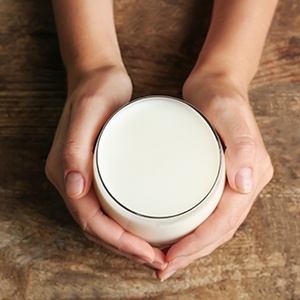 As you either embark on or continue along the process of producing emulsions, your product’s success may depend on the equipment used to make it. High pressure homogenization is the most common method for producing emulsions, because of both its powerful mixing process and its cost/time effectiveness. The homogenizer will shear fluid by forcing it through a restrictive valve, forming a an emulsion with decreased particle size. BEE International Technology is trusted by lab managers and scientists around the world for their high-pressure homogenizers. They offer homogenizers that are both high-quality and reliable, and which can help your lab produce nano/micro emulsions, dispersions, and suspensions to be incorporated into your pharmaceutical cream. Visit us here to learn more about our products. Manufacturers in the beverage industry use emulsion (a.k.a. emulsification) in order to achieve desired drinkability standards, as well as control the visual appeal of the final product (e.g. viscosity, clarity, transparency, etc.). In creating these ideal beverages, manufacturers have to keep in mind that efficiently mixing things that do not naturally want to mix (like oil and water products) and keeping these mixes from separating for a longer period of time can make all the difference. Generally, there are 3 steps in preparing beverage emulsion: preparing the water phase and the oil phase; pre-homogenization; and homogenization. Below, we provide a brief overview of each step. 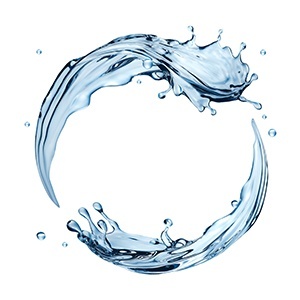 Preparing the water phase involves making a complete solution by dissolving the correct amounts of preservative, citric acid, coloring and gum. These ingredients must be added in this order (starting with preservative and ending with gum) to ensure that full dissolution is achieved. Preparing the oil phase involves fully dissolving the weighted agent in the oil. The correct ratio of weight agent to oil depends on the amount that is allowed per regulation in the finished beverage. Generally, manufacturers will use the maximum allowable amount of weighting agent. In the pre-homogenization step, the water is mixed with the oil (per step 1 described above) to create a premix, which breaks the oil into small oil droplets. Generally, the better the quality of the premix, the better the resulting emulsion. This is because low quality premix will have larger particles than a high quality premix, and thus during homogenization (step 3), more energy will be required to break the particles down – thus reducing the amount of energy that can be allocated to break down even smaller particles. Therefore, by having equipment that can break down both premixes into the smallest possible particles, it will take less time and money to break these down further in Step 3 and to ensure that they’ll stay together as a mixture for a long time. During the homogenization step, the premix created in step 2 is pumped through the homogenizer’s valves at very high pressure. This creates turbulence and cavitation forces, which break the oil droplets down into fine particles. Two-stage homogenization is required for beverage emulsions, in which the second stage provides back-end pressure that is controlled to achieve optimum efficiency, and also helps control the product’s viscosity. Learn more about BEE International’s acclaimed focus on particle size reduction by contacting us today. In the liquid homogenization method of cell lysis, samples are pushed through a small space and shear forces are used to disrupt cell walls. This method is common for researchers lysing cultured cells or small volumes. There are primarily three types of liquid homogenizers used in life science laboratories around the world: Dounce homogenizer, Potter-Elvehjem homogenizer, and French press. But do any of them really get the job done? Below, we take a look at each method. Often used for gently lysing single cell suspensions, a Dounce homogenizer uses round glass pestles that are manually forced into a glass tube. While these glass pestles are relatively inexpensive, a major drawback of using a Dounce homogenizer is that the process is typically exceptionally time consuming, and it does not work well with large throughputs – thus making it impossible for researchers to efficiently scale up to manufacturing or clinical trials. Often used by researchers who need to disrupt cell walls but not cell tissue, a Potter-Elvehjem homogenizer involves mechanically or manually driving a polytetrafluoroethylene (PTFE) pestle into a conical or rounded-shaped vessel. Many researchers opt for the manually driven pestles because, while less efficient, they are more affordable. Suitable for sample volumes between 40 – 250mL, a French press uses a piston to apply very high pressure to samples, thus forcing them through a very small hole. Compared to a Dounce homogenizer and a Potter-Elvehjem homogenizer, a French press is more efficient (requiring only two passes). However, throughput is low -- thus making it impractical or prohibitive for many researchers who are facing time constraints. Two of the liquid homogenizers described above can ONLY use the mechanical force of impact achieve cell lysis. The French Press additionally employs shears but with little control. However, BEE technology is an in-line process that makes use of three cell disruption forces: shear, cavitation (like sonic mixing) and impact. As a result, researchers can adjust these forces to be more gentle or harsh, and control the process to rupture a variety of cell types -- including more challenging cells like yeast and fungi – but without damaging tissue or other valuable intracellular materials. The bottom line is better yields in fewer passes, and results that are scaleable to manufacturing and clinical trials. Learn more about our groundbreaking technology here. To find out more key factors to consider when choosing a cell lysis method for your research, download our FREE eBook below!